Foxglove plants (digitalis) are a tall growing perennial or biennial. 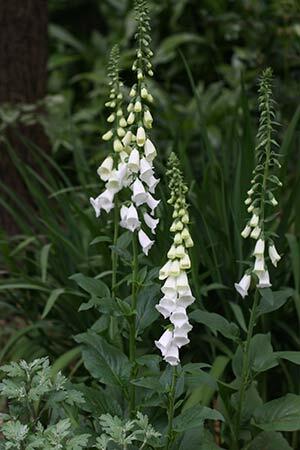 The tall flowers of foxgloves have been a feature of garden borders for centuries. Foxgloves flower in late spring through to summer with flower spikes of the foxglove reaching to 2m. Foxglove plants prefer a partly shaded position in a humus rich well drained soil. Foxgloves may be grown from seedlings or from seed. Digitalis purpurea, colourful hybrids and Digitalis lanata are the major types for sale in Australia. We suggest planting in clumps against a green shrub for a dramatic effect. Grown in large pots or containers they can also put on a magnificent display. Being a a tall growing clump forming perennial plant Foxglove Plants are best suited to the middle of garden border. Best grown in a humus rich soil with some shade in the afternoon to protect from hot sun. Fertilize with blood and bone or a seaweed fertilizer in early spring. The best time to plant foxgloves is in spring as soon as the soil begins to warm up, and as late as early summer if you provide some extra water. Plant seeds or seedling, flowering plants sold at nurseries look good but will not last long in most conditions. Foxgloves are a very popular plant in cottage gardens and also do well in the perennial border. Good drainage is important to prevent rot. The main trick with growing foxgloves from seed is not to cover them with soil, they do need light to germinate. Plants will self seed, however many gardeners prefer to buy or collect seeds to guarantee a good flower display. water overhead, using a gentle fine spay of water. YOU CAN SOW DIRECT. In spring sow directly and make sure the seeds are kept moist. The common foxglove (Digitalis purpurea) is a good start with flowers ranging from pale pink to purple. Hybrids available for sale have a wider range of colours from white through to almost red. 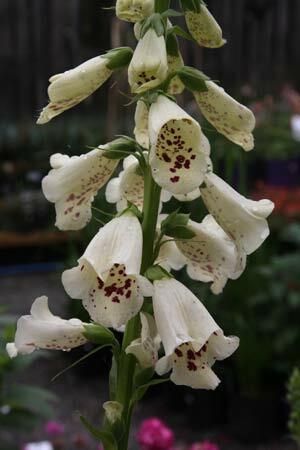 Digitalis lanata is the grecian foxglove, creamy yellow flowers with strong markings, look for seed for this one. Larger clumps of Foxglove plants can be divided in late winter just as new growth commences. Foxglove seeds can be planted into seedling trays in late winter to early autumn. 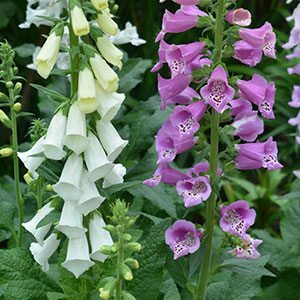 Are foxgloves poisonous to animals and children? The simple answer is yes they are. However so are most garden plants. An online nursery specialising in drought and frost tolerant perennials and fragrant, edible and herbs.